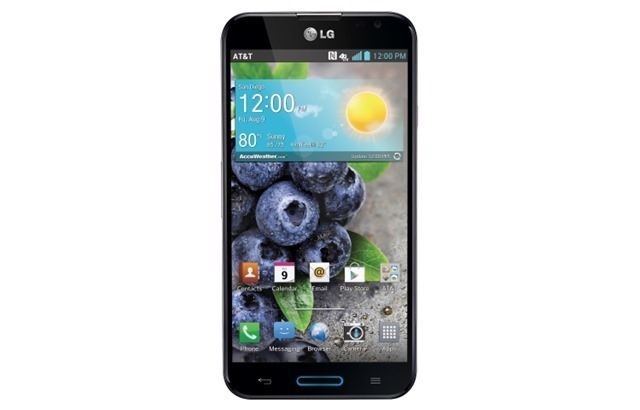 The LG Optimus G Pro is a phablet with nifty customization options to make it easier to use with one hand and is now available through AT&T. This phablet is LG’s answer to Samsung’s own popular phablet, the Galaxy Note 2. The question now is, is the LG Optimus G Pro good enough to challenge the Note 2? Find out if this is the smartphone for you. 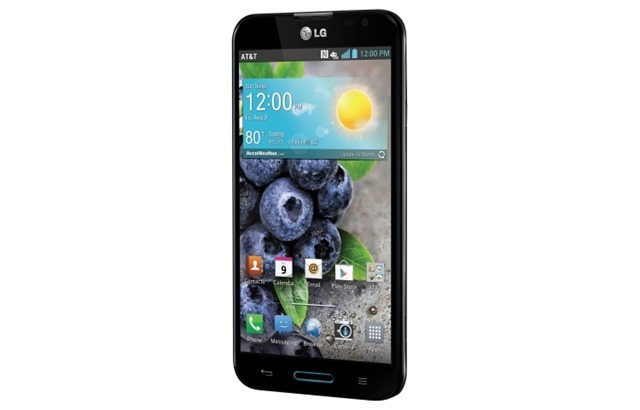 Like most LG phones, the Optimus G Pro has a plastic body and has a sharp 400 ppi IPS LCD screen. The nice thing about it is that at 5.91x3x0.37 inches and 6.1 ounces, it is 0.2 inches narrower than Galaxy Note 2. It might not sound like a very significant difference but those 0.2 inches make this phablet more manageable with one hand. This is actually a consistent theme of the phone. LG designed a large phone but included customizations to help users operate it with one hand. One of these customizations is the “Quickbutton” found on the left side of the phone. This allows you to immediately launch one of your apps. You can set it to instantly launch your camera, your Dropbox, your RingCentral virtual PBX app, your Evernote, or just about anything. Aside from the Quickbutton, you also have a home button below the screen with two soft keys at its sides. You can also customize it so that it can glow in different colors when you have a notification. Like other manufacturers, LG placed their own customizations over Android Jellybean 4.1.2. Unlike the customizations of the Galaxy, which feel a little gimmicky, I find LG’s additions to be more interesting and probably more useful. The home screen features a big clock with five customizable app shortcuts. You can also change the phone’s font style and size. As said above, this phablet has customizations to help users operate it with one hand and it shows in the software additions. First, you can set the on-screen keyboard so that it’s placed only on the left or right side of the screen. This way, it will be easier for you to type with one hand. You can also split the keyboard in landscape mode so that the idle keys will still be near your fingers when you type. Second, there is QSlide, which is a multitasking feature that allows you to open two other apps in separate windows. You can also use the phone as a remote control with the QuickRemote feature. Your phone can also act as an IR blaster that lets you control your TV, cable box, DVD player, and other devices. Plus, it supports wireless charging as well. This is a powerful phone. It has a 1.7GHz quad-core Qualcomm Snapdragon 600 processor with 2 GB of RAM. Navigation is pretty smooth and zippy. In addition, it also supports LTE and it runs pretty fast on AT&T’s LTE network. It has 32GB internal storage and you can expand it up to 64GB through a micro SD card slot under the back cover. This phablet also supports GPS, Bluetooth, Wi-Fi, and NFC. The battery is a massive 3,140mAh removable battery and provides you with more than 18 hours of talk time. This is where the Optimus G Pro faltered, proving that having high megapixels does not automatically translate to great shots. Even with adequate lighting, the pictures are just not as sharp as expected. Pictures in low-light environments are even worse. The zoom function is also a concern as it feels that it is not holding images together once zoomed. Camera aside, this phablet is a winner. LG put a lot of thought into this and it showed. They knew that the sheer size can be a problem and they provided customizations to help users use it with one hand. Plus it is a powerful phone in its own right. This would be a great buy whether as a personal or business phone.